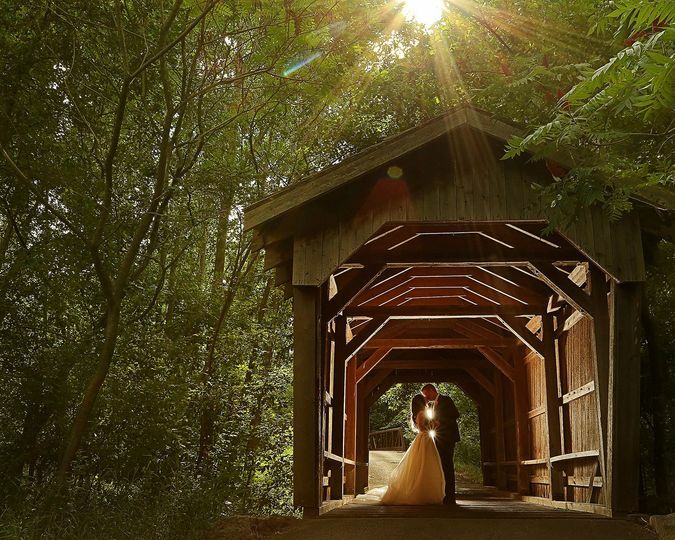 The Marq is a rustic wedding venue located in De Pere, Wisconsin. 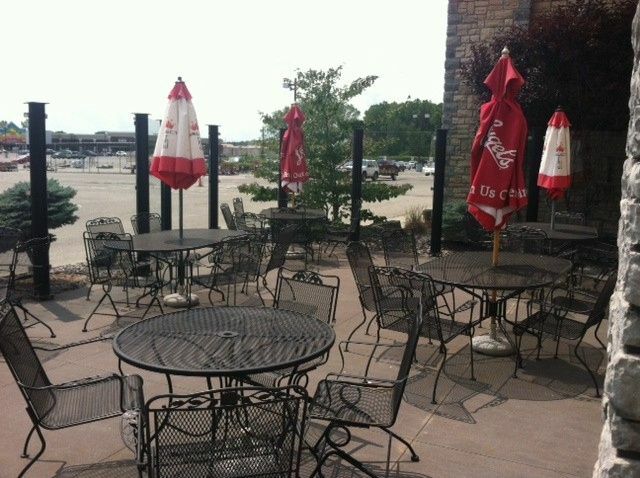 In 2009, supermarket owner Festival Foods purchased the Apple Creek Inn and renamed it The Marq a year later to symbolize the venue’s focus on creating marquee events. 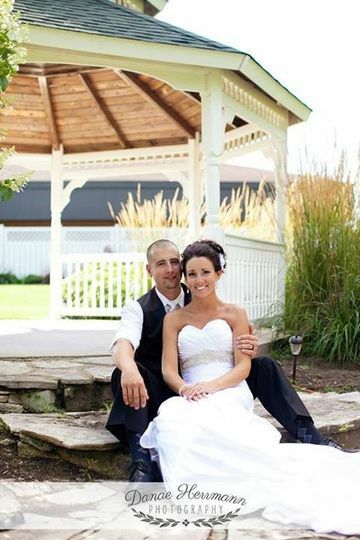 Now, the completely remodeled banquet facility is the ideal space to host your dream wedding. 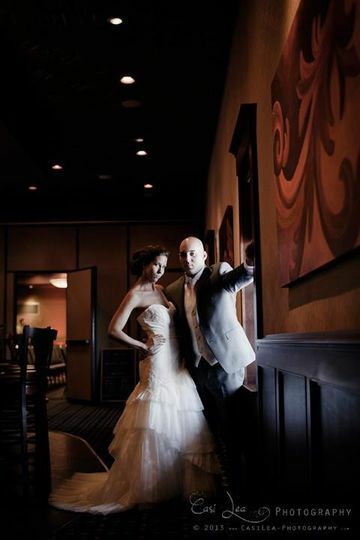 On your special day, The Marq’s dedicated staff will do all that they can to impress you and your guests with their exceptional customer service skills and impeccable attention to detail. 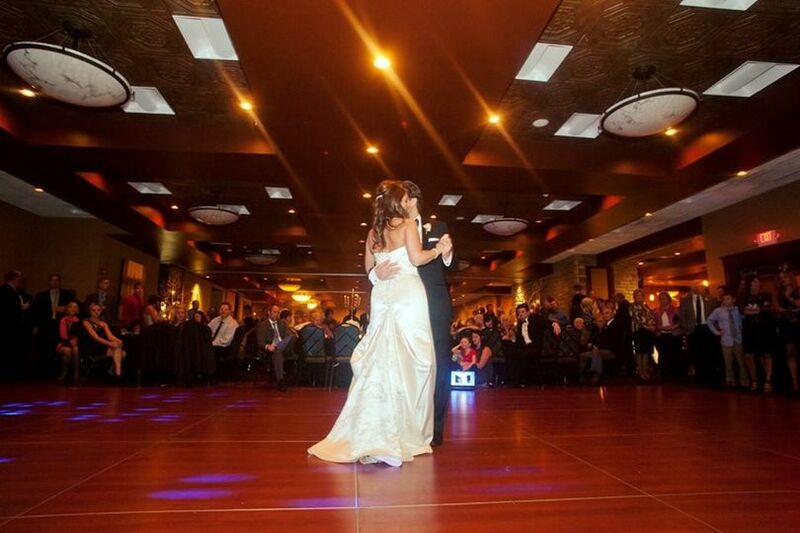 The Marq can accommodate up to 500 wedding guests in its indoor and outdoor event spaces. There are several locations on the property at French Road where couples can start their lives together in wedding bliss. 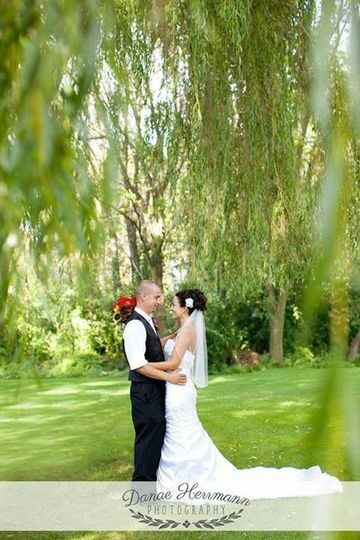 Those locations include the Garden Gazebo, the Arbor Under The Willows and the Grand Ballroom. 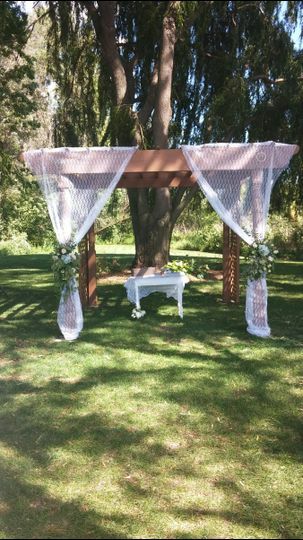 The Garden Gazebo is the perfect venue for an unforgettable outdoor wedding ceremony. Couples can walk through an antique archway and down a cobblestone path prior to exchanging their vows. The Arbor Under The Willows is situated underneath The Marq’s towering willows. There, you and your guests will be shaded while you say, “I do.” The Grand Ballroom is ideal for intimate and grand indoor ceremonies and receptions. It can transformed into several smaller or large rooms. The Marq will provide several event items for ceremonies and receptions, including tables, chairs, lighting, decor, state-of-the-art audio equipment and a dance floor. The Marq is a full-service wedding venue that is available for hosting engagement parties, bridal showers, ceremonies and receptions. The venue’s event services include event planning, event rentals, in-house catering and bartending, and liability insurance. Prior to the start of your celebration, The Marq’s event staff will be on hand to assist with setting up your wedding ceremony and reception. Once your special day ends, they will also be available to help with cleanup. 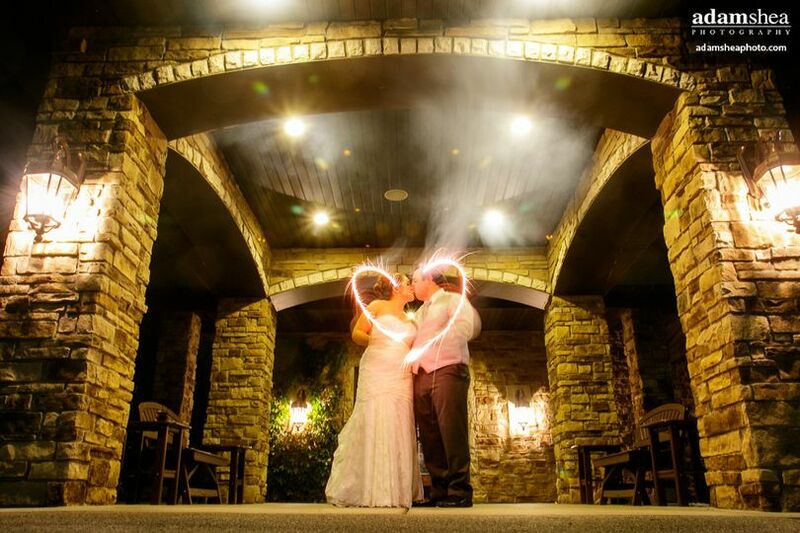 The Marq is a wheelchair-accessible venue that offers ample parking, valet and shuttle services to couples and their guests on their wedding day. We had both our ceremony and reception at The Marq on French Road in late September. They were fantastic to work with, answering any questions I had and even when our coordinator there resigned and we got a new one two months before the wedding we did not notice any drop in quality from them. 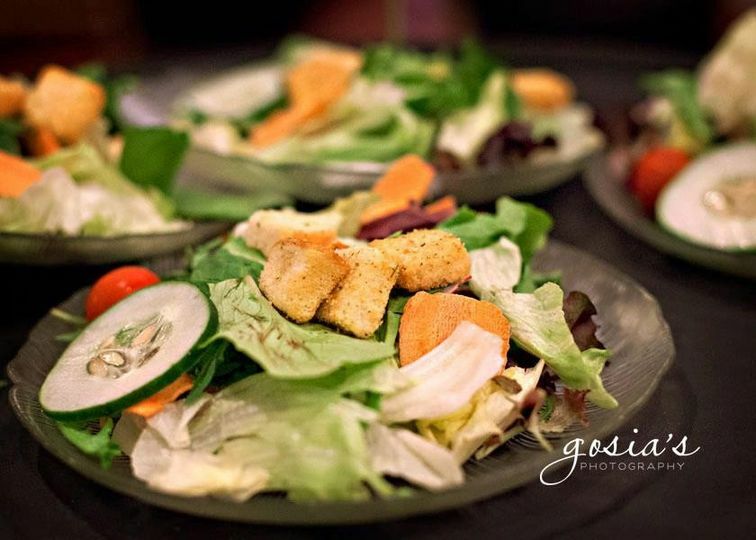 Our guests raves about both the food and the venue all night. Thank you so much Kyla! It was our pleasure to assist and happy everyone enjoyed your scrumptious plated meal options!! We really enjoyed our food from The Marq! I really appreciated that they were able to accommodate for guests that (unfortunately) RSVP'd a few days before the wedding. The Marq offered a special package through our venue which included pre-selected items that we used for convenience. I'm a picky eater and was happy to find food that was simple enough for me to eat. My only concern was that they cut the cake in very small servings, which left us with a lot of cake to bring home. We had to scramble and find somewhere to put it but things worked out well enough. Thank you for the review Shannon!! It was great to work with you along the way and we're happy the packages worked out well for what you were looking to offer! We highly recommend the Marq for catering your wedding. They were absolutely fantastic for ours! Jessica and Staff were quick to answer questions before hand and made sure everything was planned out. They were also so helpful and professional the day of. The Marq was also great at working with different diets and allergies! 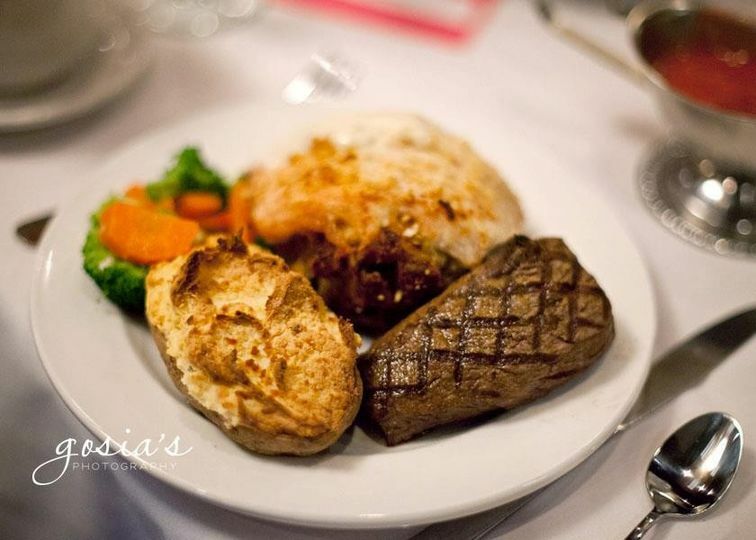 Our guests made sure to let us know how delicious and filling their meals were! Thank you so much Kelsey! It was our pleasure to assist and we were glad to be able to accommodate everyone! One of the best wedding venues that we get the opportunity to work with. The decor is first class and the service and food offerings great. You can&apos;t go wrong with Choosing The Marq.